Since we got Lola, Hubby has attached himself to the early morning walks before work, which is great in itself, and means that I don’t have to go out when it’s cold or wet first thing in the morning. The only trouble is Hubby will rarely wear a coat, and he wouldn’t be able to tell you what a hood is. For some reason I think he reverts back to being a teenager where it’s not cool to wear a coat with a hood. When Dickies got in touch and asked if we wanted to try out some of their outdoor wear, I spotted just the coat for Hubby immediately. 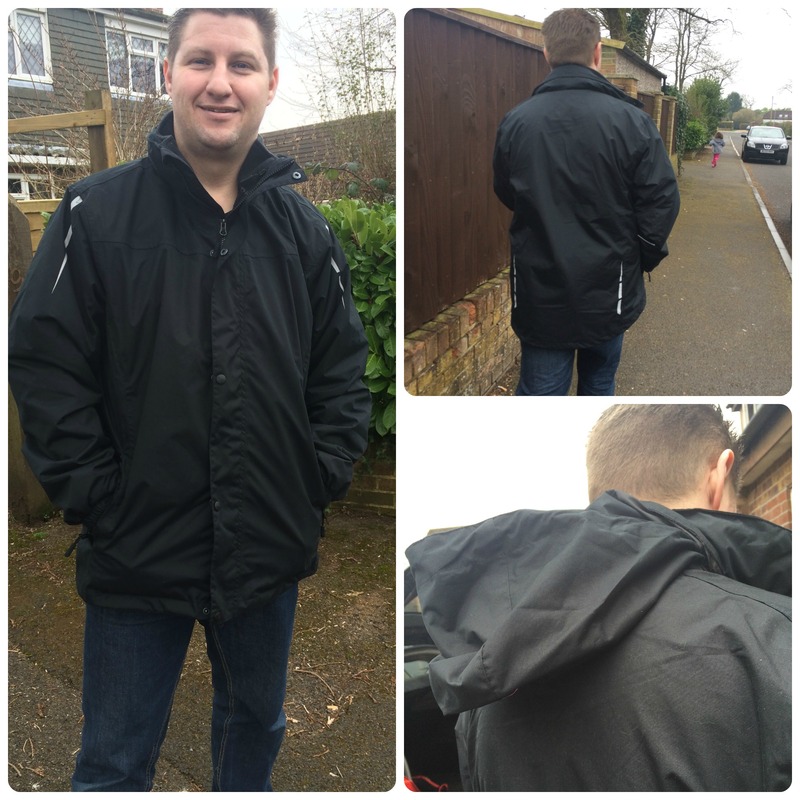 The Abbot 3 in 1 jacket which looked to be perfect for all weathers and also had a hidden hood. Available in six sizes and two colours, Hubby found the Large size to be perfect for him. The length of the arms is good as is the length of the jacket. It’s not too short that it rides up above the length of a t-shirt or jumper, but not too long to look odd on a man. As mentioned, the jacket is 3 in 1, meaning that it can be adjusted according to the weather. Inside the polyester outer which has a soft shell feel to it, there is a removable fleece inner lining. 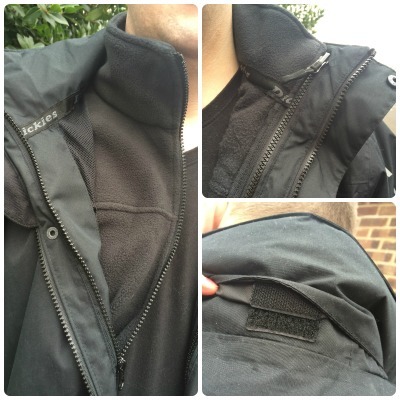 If the weather is warmer but showers are imminent, then remove the fleece and wear as a shower proof jacket. For colder days the fleece keeps you warm. Moving along to the hood, you can see it is hidden in the collar of the jacket and is removed through a velcro flap. The hood is designed for showers not heavy rain, but it does the job really well when caught out walking. It is easier for the wearer to remove and replace the hood when the jacket isn’t on, but it’s just about being prepared. Hubby loves his new coat, the quality is good, and the design simple but stylish at the same time. Due to the simple colour schemes of navy blue or black, the jacket works really well as an every day part of your wardrobe. The jacket retails at £55 and I think it’s great value for money for an all year round jacket. This coat looks great for outdoor weathers and the hidden hood is a good idea for a sudden shower. It’s a great compact coat for all the weathers. That looks like a great jacket and so handy that it is versatile for the seasons. I could see my OH loving something like this. Hubby is really impressed with it. I’m not a coat fan myself so I can totally empathise with him! Glad you’ve found him something he’s comfortable in.